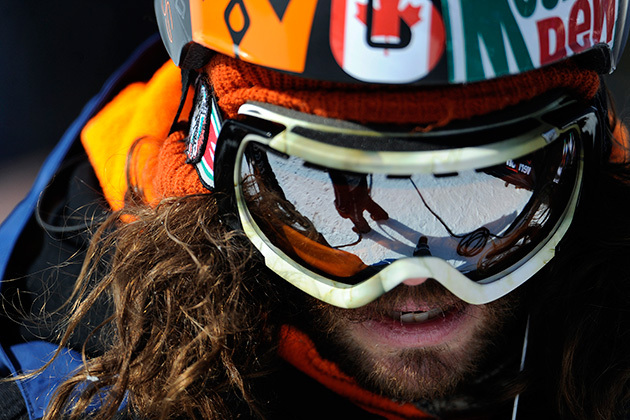 Professional snowboarder Danny Davis gives fans an inside look into his life and progression in the sport. It’s hard to say for sure exactly when I started snowboarding because, in the beginning, everything I did with my brother Mickey was just in the front yard of our house in Michigan. It started with sledding when I was two or three years old. I don’t remember exactly when that transitioned into standing on the sled as we went down the hills; I was probably around five or six. Eventually, though, when we began to build jumps in the front yard, my mom was like “All right, fine.” She saw snowboards at K-Mart, these super cheap boards that we were so pumped to get. We rode those for a couple of years and then eventually my dad wanted in on snowboarding too. That’s when we really got legit. We got real good boards; I was probably nine or ten and so stoked when that happened. I had no idea that snowboarding was something that could become my livelihood until I was graduating from Stratton [Mountain School in Vermont]. Before that, it seemed a lot more like baseball or football, something that I loved to do just for the fun of it. When I went to Stratton for my junior and senior years, we rode every day. We would go riding in the morning and go to class in the afternoon and evenings. When it wasn’t winter, we did dry land training in the gym. We hit contests all year. When graduation came, I’d just gotten an incentive contract from Burton because I’d won a couple of contests. I was 17 years old when I decided not to go to college; I was going to buy a car and go out west and try to do this. My parents were 100% supportive. They let me make my own choice about it. So I bought a 2004 GMC Sierra—to this day the only car I’ve ever owned—and moved out west. At this point, I’d say my love of snowboarding was still super child-like. I didn’t have time to get nervous about things or worry about decisions. A sponsor would say “Hey, we’re going to send you to the Arctic Challenge. What do you think?” I’d say yes to pretty much everything because it sounded like a cool chance to ride somewhere new. I’d get there and feel no stress, no worries, just new powder. I never put pressure on myself to win anything, I was just happy to be there. I was a 17-year-old kid who was in Norway specifically to go snowboarding with all of these amazing legends of the sport. I was very child-like with it all for a long time. I still feel like I hold on to that a little bit, but it has changed. It’s a bit more work now. As you get older, you naturally try to make more happen for yourself. In the past, if someone called me to go somewhere I would, but otherwise I was happy to stay home and shred on my own. Today, I’m the one making trips happen. Where’s the film guy? Do I need to get him a flight? A place to stay? How do we make it happen? I’m trying to put out content and putting more effort into the logistics, which can take away from the riding at times. But it’s fun. It’s the coolest job in the world, no doubt. was the winner. He won a bunch of contests and was widely known as the guy who was going to win for a long time. When people would talk about me, they’d say, “Well, maybe Danny can put it all together this time,” Sometimes I’d land and sometimes I wouldn’t. That was very much my MO for a long time. When I did land, I’d do well here and there. Some wins, a couple of seconds, a couple of thirds. All the attention that has come since I’ve started landing runs in big events has been a trip. Sometimes it can be a little much. It almost feels like a racket, how much of you they want. But it makes the snowboarding more special. My time to snowboard now is similar to airplane mode on cell phones. No one can call me. No one can text me. I put my headphones in and forget everything. My time on the mountain is very meditative these days. It’s for me. It’s almost like a vacation. That feeling of peace when people get to disconnect and experience a sense of freedom that is outside of the norm? Most people get it once a week on weekends, or maybe even less than that. I get that feeling every day for a few hours. Snowboarding is my work and my escape. Comparing my current relationship with snowboarding with what it was when I was the teenage version of myself, I’d say back then it was puppy love. I had no idea of the depth of the world I was entering. I just knew I wanted to snowboard, and as long as I could, that was enough. Today, it’s full-on commitment. The relationship isn’t as easy and carefree, but I’m committed and willing to do what needs to be done to make it work. I need it to be happy today. Back then, I had football, baseball, basketball; I didn’t know what I wanted yet. But today, I’m bummed if I can’t go snowboard. I guess the best way to say it is that I didn’t know how in love with snowboarding I was or how deep that love would become. It’s definitely more important to me now than it was then. I’ve grown with it and it’s done so much for me. Snowboarding has given me a lot of opportunities, most of my friends, an insane network of support that’s there when I’m injured. And it’s not just the people I’ve met since people started using my first and last name. I’m talking about my buddies back in Michigan who I began snowboarding with. Those are some of the best relationships I have and they grew through snowboarding. No superpipe is going to make me forget them. I guess you can say that the bull’s eye is on my back now. It’s no less enjoyable. It’s just a different time, a different crew. There’s no Scotty [Lago], there’s no Mason [Aguirre]. There’s no Luke or Jack [Mitrani]. I travel a lot with Mark McMorris now, and we have kind of the same relationship. It’s always best when you go to a contest and it’s not just you against everyone. Now, I’ve got Mark, Darcy Sharpe, Ben Ferg[uson]. It makes the contest easier because it’s not about just yourself. If they do well, you’re happy for them. Hopefully you do well too, but the community is what it’s all about. I hope I can snowboard until I die. The day I die, I hope I’m snowboarding. Competitively, I’d love to go for as long as I can. Afterwards, I want to be able to still ride professionally and live off of it. I don’t want to host. I don’t want to judge. I want to be doing it for as long as I can. When I’m done event riding, I’ll take it to the backcountry, which is a completely different world. Competition is all about who is better than the next guy. But backcountry filming is about who can find the coolest stuff to hit. If you and I go to the same mountain, we will see it differently. It’s a lot like how it used to be in the front yard in Michigan when we were deciding what to build, so it feels like it takes more back to my roots more than event riding. The potential for creativity is infinite. Do you want to tree ride? Do you want to cliff ride? Do you want to build a wedge and hit that? How are you going to do it? Those are some of my favorite questions in the world.